Loretta Gaithe exits the U.S. Postal Service facility at 6050 Shallowford Road on Wednesday. Photo by Ashlee Culverhouse /Times Free Press. The United States Postal Service announced today it will close 48 mail processing and distribution centers this summer, cutting 13,000 jobs. The Shallowford Road center was marked for closure earlier this year, but won't close this summer. But the life of the center and its more than 250 jobs is likely short. The Postal Service plans to close an additional 92 centers by February 2014, then another 89 by the end of 2014. When all 229 centers have been closed, about 28,000 post jobs across the country will be eliminated, saving the service $2.1 billion annually. 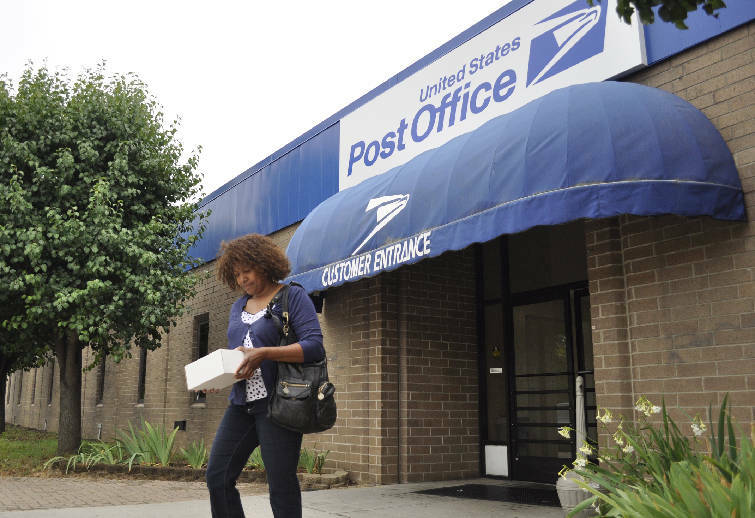 "We simply do not have the mail volumes to justify the size and capacity of our current mail processing network," Patrick Donahoe, postmaster general and chief executive officer of the postal service, said in a statement. "To return to long-term profitability and financial stability while keeping mail affordable, we must match our network to the anticipated workload." The postal service lost $3.2 billion in the quarter ending March 31, compared to $2.2 billion during the same quarter last year. Year-to-date, the postal service has lost $6.5 billion following a $2.6 billion loss the year before. Overhead costs such as fuel prices are rising while first-class mail volume has plummeted as people turn to email. But losses wouldn't be so severe without a unique congressional ruling requiring the federally-mandated but not federally-funded service to pre-fund retiree health benefits. Without those and similar requirements, losses would have been $486 million. More in tomorrow's Times Free Press.